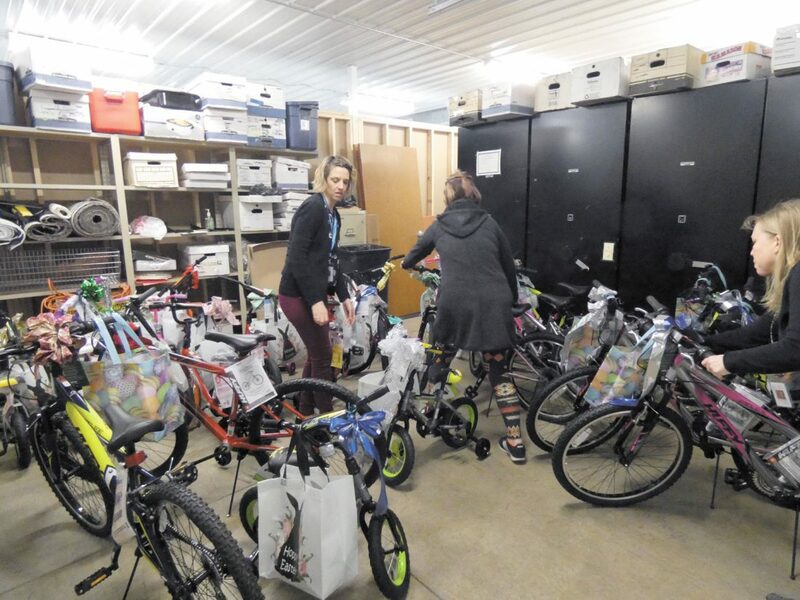 Protective Services Supervisor Mindy Strup (left), Protective Services Caseworker Jenni Zaika (center) and Protective Services Supervisor Jennifer Schumacher, of Seneca County Department of Jobs and Family Services, organize new bicycles that were donated by Bike Lady Inc. Friday afternoon. A release stated the new bikes are assembled by teens who were convicted as adults and are serving their terms in adult prisons. Strup said 24 bikes were donated and each came with helmets, which were donated by the Columbus Blue Jackets hockey team, as well as a letter from the inmate who assembled the bike. The letters try to convey positivity and hope, she said. Strup said the bikes are to be distributed to children in the foster care program in Seneca County starting next week. “We’re very happy to share this with our kids and our families and we are so happy to be a part of this,” Strup said.